Cotswold Archaeology and Suffolk Archaeology Merge. We are pleased to announce that from today Suffolk Archaeology Community Interest Company has become part of Cotswold Archaeology. 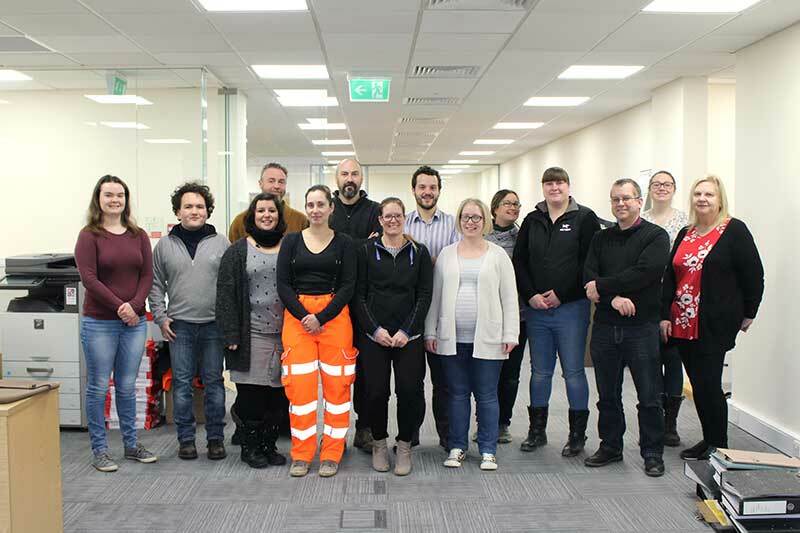 This initiative builds on the strong history of collaboration between the two companies in East Anglia over the past few years on projects such as Sizewell Nuclear Power Station and the cable connection to East Anglia One offshore wind farm. Suffolk County Council Archaeological Service was created in 1974 with a remit to conserve and record the county’s heritage. It originally carried out research or rescue projects as funding allowed, but from the early 1990s the Field Team developed into a self-financing contracting service for private and public sector clients. By 2014 the Field Team was the dominant archaeological contractor in Suffolk, with projects ranging from small watching briefs to long-running investigations of extensive multi-period archaeological landscapes. It had also expanded its operating area into the neighbouring counties of Cambridgeshire, Essex and Norfolk. This success led to the County Council’s decision in 2015 to outsource the Field Team as an independent Community Interest Company. 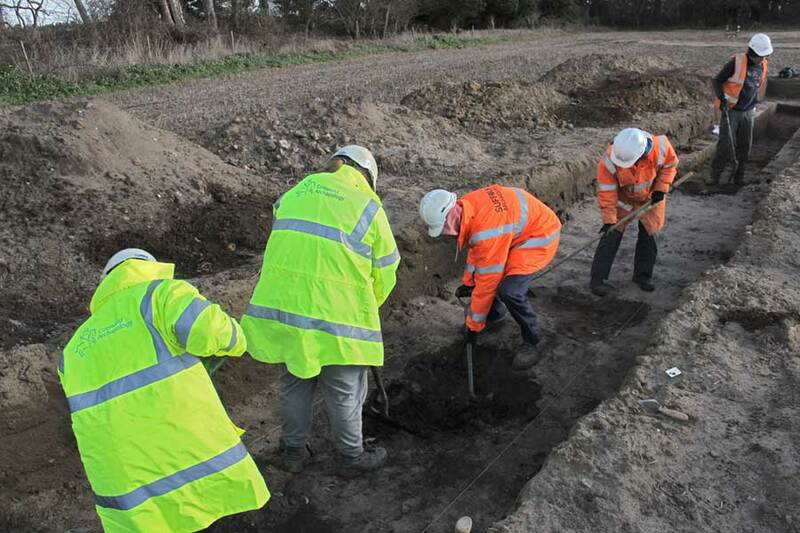 Suffolk Archaeology now carries out in the order of 150 projects a year and maintains a staff of around 40. Find out more about Suffolk Archaeology here. Cotswold Archaeology is a registered educational charity, and as such it is governed by a Board of Trustees who also serve as Non-Executive Company Directors. We now have up a vacancy on our Board and would like to hear from people who are interested in being considered as a Trustee. We are particularly looking for someone who has experience at a senior level in a trading company, ideally one that operated from multiple locations. A background in property development/construction/land use planning would be ideal, but we are happy to hear from people with backgrounds in other industries. Applications from women are particularly welcome, as they are currently under represented on our Board. We are also particularly interested in people who live or have worked in the areas served by our Andover, Exeter or Milton Keynes offices. Trustees typically contribute 4-8 days annually to the affairs of the Trust and involve attendance on between two and five meeting days per annum. Most meetings take place in Kemble, near Cirencester, and occur during the working day. At least one meeting per year takes place at one of our other offices (Andover, Exeter or Milton Keynes). Outside of Board meetings liaison is conducted by email and telephone. No remuneration is offered for performing the duties of a Trustee, although all reasonable expenses will be reimbursed. 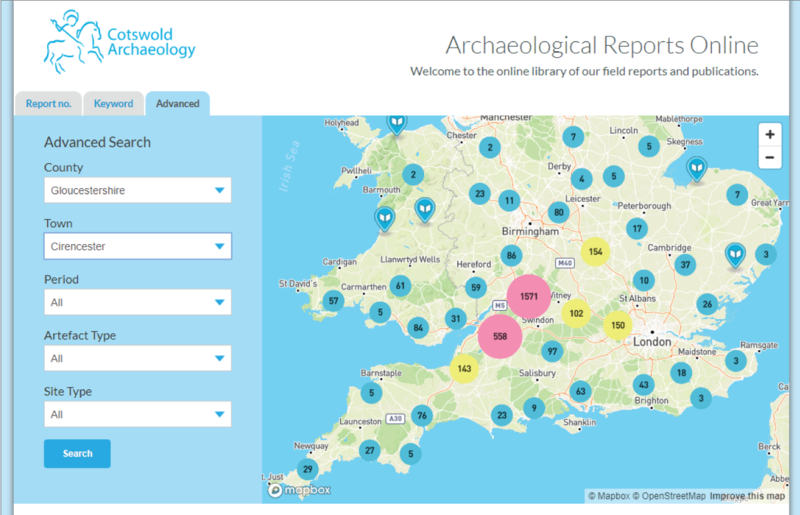 You can find out more about Cotswold Archaeology on our About Us page. If you think you might be interested in this opportunity please contact us by email at careers@cotswoldarchaeology.co.uk or telephone Liam Coates on 01908 556033, and we will send you further information and details of how to register an expression of interest. The deadline for receipt of expressions of interest is 5pm on Thursday 28 February 2019. 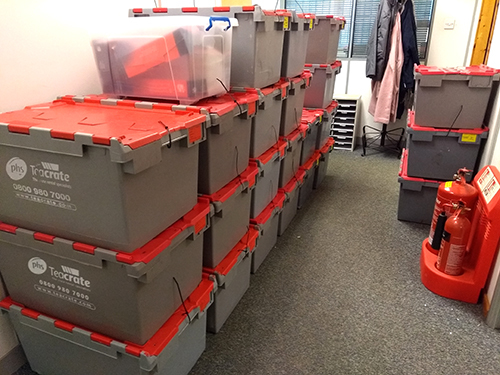 Exeter team is moving to a new office! Wednesday 17 October 2018 was a red-letter day for our Exeter team. After much searching we have finally moved into new larger premises, less than 5 minutes from our old office! The new office gives us much greater flexibility, space to grow and the ability to deliver a wider range of services. Fortunately we were able to take on the new office a few weeks before our move date so the process of moving over has been relatively pain free and has allowed us to function as normal through the process. We will be settling in and making the most of the extra space we now have, there is even talk of buying a table tennis table, so we will all be fitter and have better hand – eye coordination! Our charitable status is an important aspect of Cotswold Archaeology, but we can’t be a charity without trustees who are responsible for setting our overall direction and ensuring good corporate governance. Trustees don’t get paid; they perform the role because they believe in us and care about what we are doing. In September we welcomed three new people onto the Board of Trustees, and it is pleasing in particular that we now have greater female representation at this level. So welcome to Laura Evis, Clare Kirk and Christopher Young. 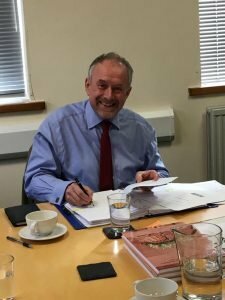 Bob Bewley has decided to stand down from the Board owing to pressure of work, but becomes one of our academic advisors. Thank you for your contribution Bob over the last three years. On the morning of Friday 5th January it was all hands on deck as we prepared for the MK office relocation from Kiln Farm to larger premises at Stonebridge (a grand distance of 3 miles). Across the office could be heard panicked cries of “Do we have to label EVERYTHING? !”, “I’ve run out of stickers!” and “What’s my ID number again?”. But amidst this there was the joy (?!) of rediscovering long-lost and long-forgotten items buried in desk drawers: a tin containing crumbs of ancient flapjack (Nathan), a plastic tiara from a colleague’s birthday party (Liz), novelty sound-effects toys (Hannah), and those ‘emergency’ tinned pears… (Dr Mark). Over the weekend the office relocation company (supported by Pete and Sarah) worked their magic, bringing everything across to the new office and leaving it all in the correct place. After some minor technical and practical glitches on Monday morning (including a temporary absence of toilet roll), we are now more or less settled and enjoying the extra space and facilities (ground floor warehouse space for fieldwork and post-excavation, a larger kitchen with seating area, additional toilets and showers). Thanks to Alli, Pete, Zak, Vicki and Jinny for organising the logistics!